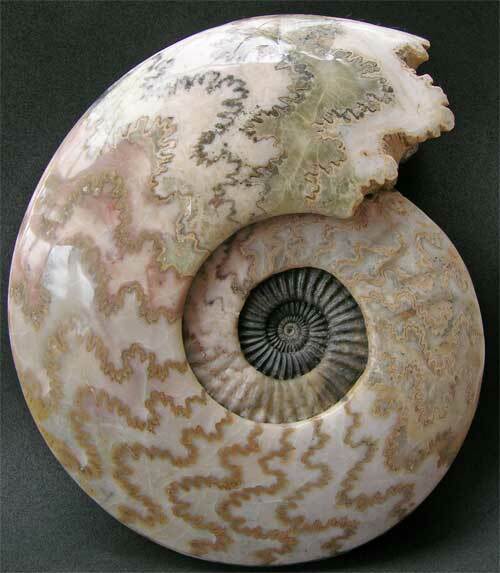 This is a truly stunning display ammonite which is approximately 200 million years old. 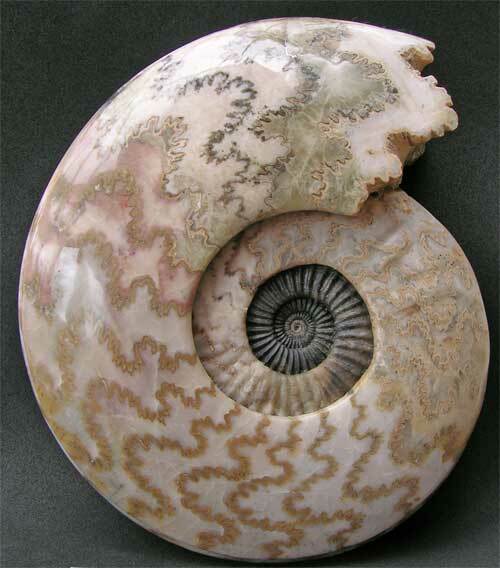 These magnificent ammonite shells are becoming very scarse due to the quarry is now filled in. 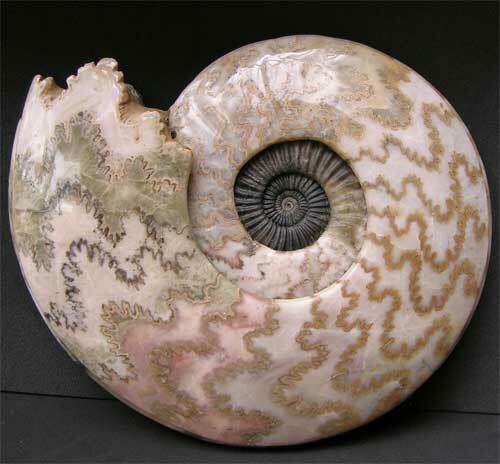 This is the finest centre of a Scunthorpe ammonite we have ever seen, the strong ribs are superb, thats why it has been left in its natural state. 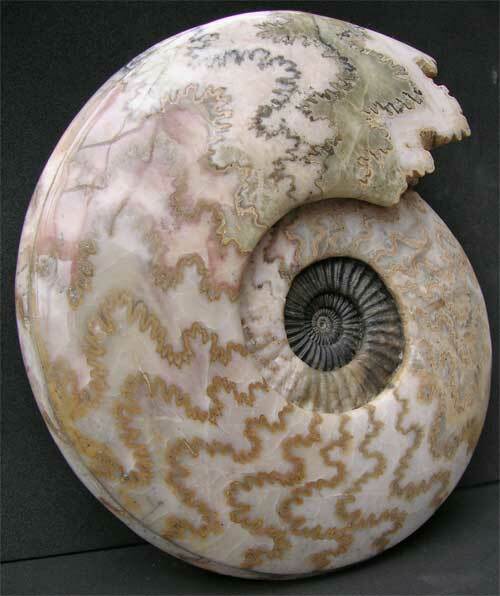 The different coloured calcite chambers range from pinks, greens, browns and cream. What more can we say !! !